CHICAGO--(BUSINESS WIRE)--As many countries face a severe current and future doctor shortage, the American University of the Caribbean School of Medicine (AUC) and the University of Central Lancashire (UCLan) announced a new program aimed at helping to address this global workforce issue. The universities are partnering to offer a new blended program, to enable students from the U.K. and across the world to study towards their accredited medical qualification, the Doctor of Medicine (MD) degree - the postgraduate degree of physicians in the U.S. The program offers students a postgraduate diploma in International Medical Sciences (PGIMS) from UCLan, followed by their MD with AUC. Students will then be eligible to do clinical rotations at AUC’s clinical sites, which include hospitals in the U.S., the U.K., and Canada. This program, which starts in September 2019, is aimed at preparing students for the U.S. Medical Licensing Examinations (USMLE). AUC is part of an alliance of Adtalem Global Education institutions, which also includes Ross University School of Medicine in Barbados, Ross University School of Veterinary Medicine in St. Kitts, and Chamberlain University School of Nursing in the United States. 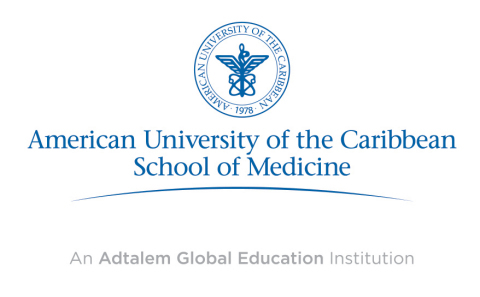 American University of the Caribbean School of Medicine (AUC) is an institution of Adtalem Global Education (NYSE: ATGE), a global education provider headquartered in the United States. AUC’s mission is to train tomorrow’s physicians, whose service to their communities and their patients is enhanced by international learning experiences, a diverse learning community, and an emphasis on social accountability and engagement. Founded in 1978, AUC has more than 6,500 graduates and is one of the oldest medical schools in the Caribbean. Dedicated to developing physicians with a lifelong commitment to patient-centered care, AUC embraces collaboration, inclusion and community service. With a campus in Sint Maarten, affiliated teaching hospitals in the United States and the United Kingdom, and internationally recognized faculty, AUC has a diverse medical education program for today’s globally minded physician. For more information visit aucmed.edu, follow AUC on Twitter (@aucmed), Instagram (@aucmed_edu) and Facebook (@aucmed). As a truly global institution with an established campus in Cyprus, UCLan’s student body includes 120 nationalities and its partnership network extends to 125 countries. 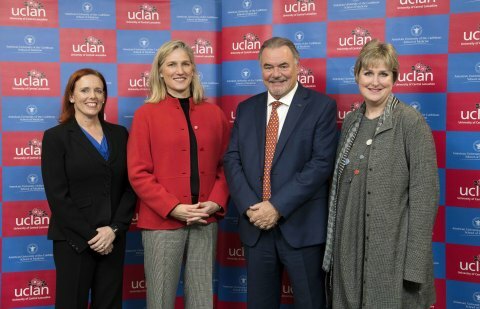 The Quacquarelli Symonds World University Rankings has awarded UCLan the full five stars for its global outlook in all aspects of international educational provision. In 2018 the Centre for World University Rankings placed UCLan in the top 3.7 percent of all worldwide universities. The purpose of Adtalem Global Education is to empower students to achieve their goals, find success, and make inspiring contributions to our global community. Adtalem Global Education Inc. (NYSE: ATGE; member S&P MidCap 400 Index) is a leading global education provider and the parent organization of Adtalem Educacional do Brasil (IBMEC, Damásio and Wyden institutions), American University of the Caribbean School of Medicine, Association of Certified Anti-Money Laundering Specialists, Becker Professional Education, Chamberlain University, EduPristine, Ross University School of Medicine and Ross University School of Veterinary Medicine. For more information, please visit adtalem.com.